It’s creamy, it’s dreamy, it’s Gelato Flicker! 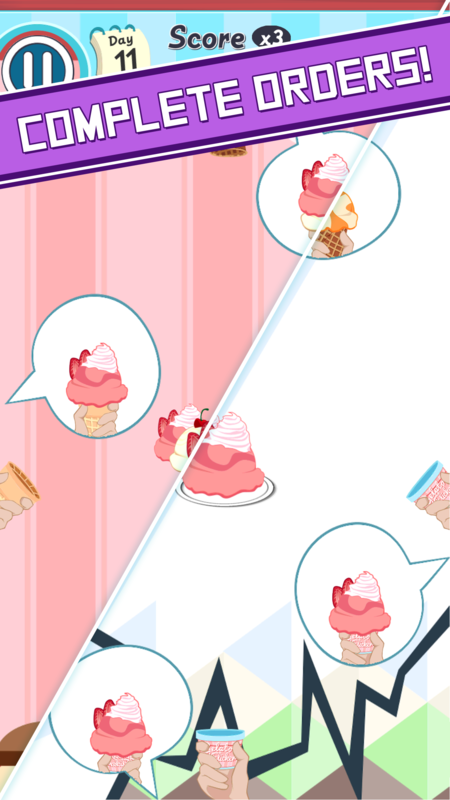 Are you ready to serve up scoops of endless ice cream fun? Think you have what it takes to run your own Ice Cream Shop? 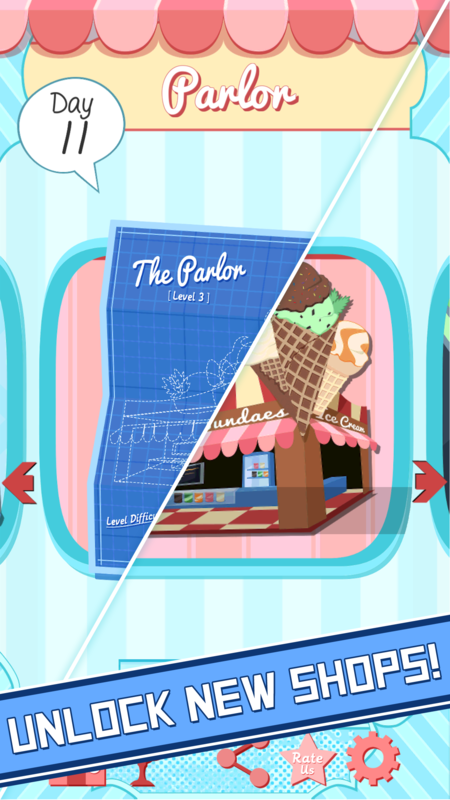 Start from humble beginnings at an Ice Cream Stand and work your way up to your very own Ice Cream Planet! 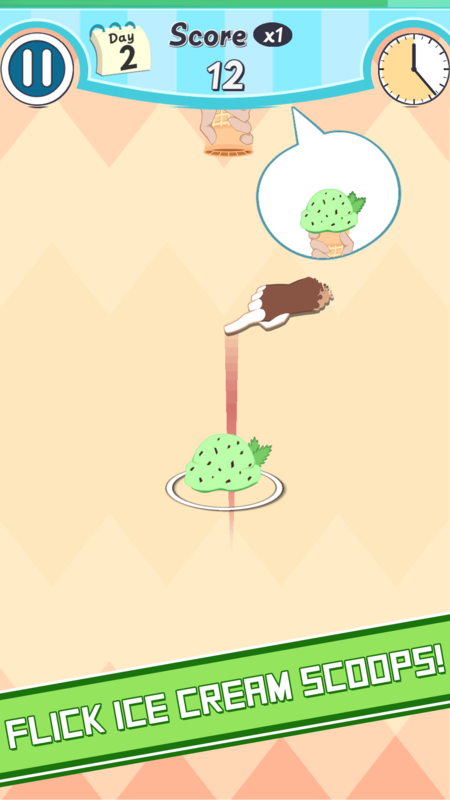 In Gelato Flicker, you’ll serve up different flavors of Ice Cream to your hungry customers with just a flick! Keep flicking at a steady pace as you race against the clock! Keep an eye open for scooptacular time-based power-ups like the Trending Scoop, Rush Hour & Golden Scoop. Be careful, if you mess up the customer’s order, it’s game over! Advance through the days of the week to upgrade your location! Nothing can stop you from being the ultimate Gelato Flicker! 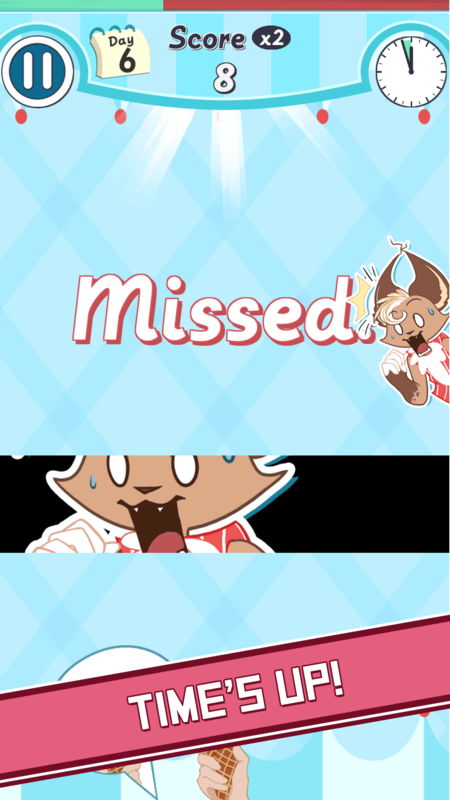 Watch Gelato Flicker in Action!